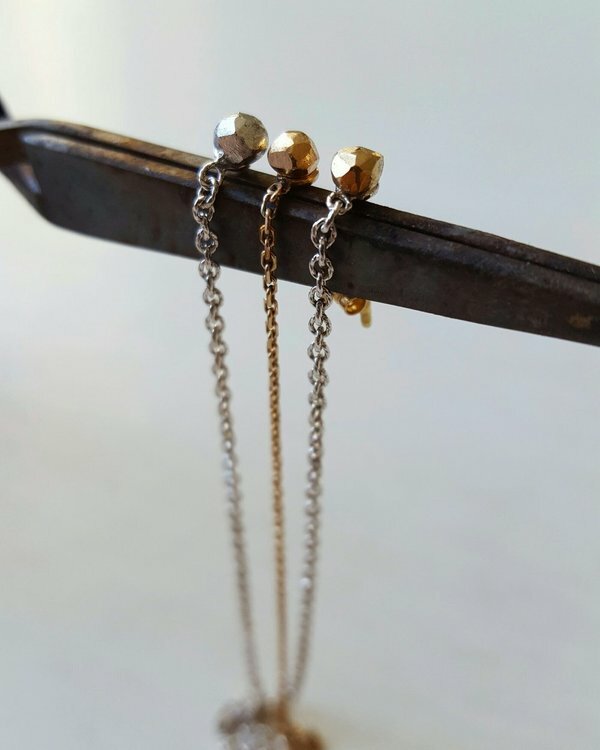 ANN CHAIN is the fastest way to pimp up your everyday studs since the chains are removable. The chains are 10 cm long but can also be customed ordered. They are available in sterling silver or 18k gold and looks absolutely fabulous on the ESTHER or PENOLOPE studs. The studs are not included.